FORMER security force members are eligible to apply for new roles providing investigative support to Northern Ireland coroners, which will include examining killings where there are allegations of state wrongdoing. A document obtained by The Detail shows that officials had previously given consideration to the potential concerns of those bereaved relatives who feared that this may represent a conflict of interest. But the Northern Ireland Courts and Tribunal Service said that following legal advice no individual would be excluded from the recruitment process, though applicants would still be required to “demonstrate sufficient independence from the state”. This comes as politicians are still divided over the creation of a wider framework to deal with the legacy of the Troubles. The victims of paramilitaries as well as those killed in violence linked to the state, have raised concerns over how cases will be handled. In the absence of political agreement on creating new structures, the justice system is continuing to handle both recent and historic cases. New figures also obtained by The Detail show that over 700 deaths are currently being investigated by the coroners’ service, with some cases in the system for years without an inquest taking place. While most of the deaths are recent cases, often linked to tragic accidents or hospital deaths, some relate to the decades of the Troubles. The new coroners' investigators are being recruited to assist with the current caseload in an attempt to focus efforts on concluding inquest cases, including legacy cases, within a specified timeframe. Figures obtained by The Detail show that as of September this year the coroners’ service was investigating 738 deaths to decide whether or not a full inquest needed to be directed in each case. The oldest cases date back to 1971. 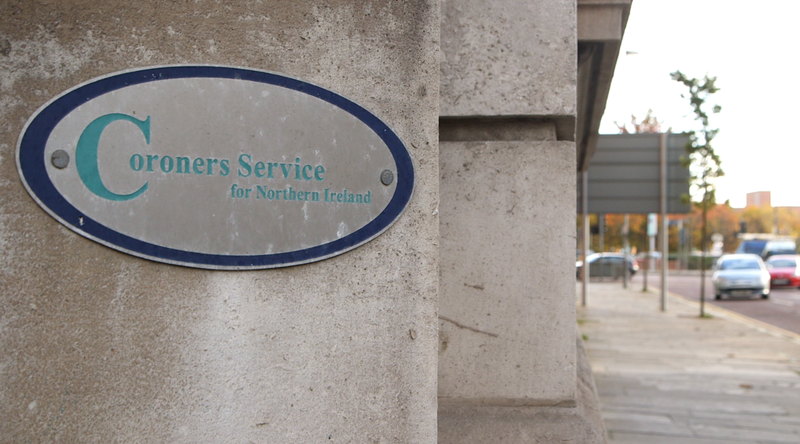 A NICTS spokesperson said that investigating deaths was the “fundamental work” of the coroners’ service but that most of these cases were natural deaths that could not be closed on a death certificate because the deceased had not been seen and treated for the cause of death within the last 28 days. In other cases deaths would require a post mortem examination, expert reports and family meetings before the case is either closed by administrative action or by inquest. The figures were released to The Detail by the NICTS in response to a Freedom of Information (FOI) request. In addition to those cases being investigated there were 20 deaths listed for inquest hearings as of September this year. At the time of the FOI request of these cases, 12 deaths had not had preliminary hearings with the longest case waiting in the system for three years without a hearing. The Detail previously reported on delays in the coroners’ service with calls from bereaved families for the Lord Chief Justice, Sir Declan Morgan, to appoint new coroners to oversee more inquests. Last week Justice Minister David Ford told the Northern Ireland Assembly that recruitment was underway for "investigative support" for coroners to deal with inquests, which include some of the most controversial killings of the Troubles. The appointment of two coroners' investigators is expected to be made by the spring of next year with applications closing on December 18 2015. Investigators will gather evidence to enable the coroner to complete their investigation into the circumstances of a death. The current job description states that candidates should have “extensive experience of managing serious crime investigations in the context of Northern Ireland”. This includes reviewing complex cases, managing witnesses and producing reports. However a business case carried out by the coroners’ service in March 2014 underlined the need for “independence of the individuals carrying out the investigation on behalf of the senior coroner”. The document, obtained by The Detail under Freedom of Information, states: “At previous preliminary hearings there was criticism expressed by legal representatives for the families about the makeup of the team from the PSNI Legacy Support Unit who are reviewing the papers for release to the senior coroner. “Taking both the case law and the previous expressed views of the families into account would place certain restrictions on the background of those carrying out this investigative support role. The Detail previously interviewed PSNI Deputy Chief Constable Drew Harris who addressed concerns over the Legacy Support Unit and defended its role. When asked for clarification, the court service confirmed that the current recruitment process for coroners’ investigators did not exclude anybody from applying. As well as providing advice and guidance to coroners, the job description for coroners’ investigators states that the successful candidates will be expected to liaise with a number of agencies including the PSNI and the Historical Investigations Unit. The Historical Investigations Unit (HIU) was a body proposed under the Stormont House Agreement to independently investigate outstanding Troubles' murders. However the HIU has yet to be established because of a failure of politicians to reach agreement on how to deal with the past as part of Stormont’s latest Fresh Start agreement. Last week the Justice Minister told the Northern Ireland Assembly that he had urged the UK Government to make available part of a special £150million fund which has been set aside for new legacy bodies, including the HIU.